Nearly 21 million people in the U.S. have a substance-use disorder. Over half a million people will die this year of a cause related to their drug use. We won’t read about all of these lost lives in the news. It’s more likely we’ll hear about the drug rehab stints of the rich and famous. The life of a celebrity is inherently stressful, as we can all imagine. Constantly being under the scrutiny of the public eye, high expectations for performance success at the box office, and the perpetual maintenance of unattainable beauty and fitness could make any person feel the pressure. In a nutshell, we seem to have an unspoken agreement that celebrities are supposed to manifest and perpetuate the illusion of perfection for humanity. Dr. Krista Roybal, founder of the True Life Center for Wellbeing in La Jolla. But you don’t have to be a celebrity to have stress or to have unrealistic expectations either externally placed or self-imposed. Stress is ubiquitous in our culture. Being busy has become a pseudonym for being important. People’s schedules can be so impacted that there is no time for relaxation, mindful breathing, or reflection. All of this leads to chronic internalized stress. Is there something you can do today to prevent this disease in your life? Of all the factors that can lead to addiction, stress is the one that we all experience on a regular basis. Understanding stress chemically might help us make different choices about our intake of substances, including alcohol, tobacco, and pills. “I’m so stressed out” is such a common phrase that we tend to take it lightly. No big deal; everyone’s stressed out. The brain has a different interpretation. The problem with our daily dosage of stress is that our brain experiences it as a biologic threat to our safety. There is a highly specialized area of our brain, called the limbic system, which assumes tremendous responsibility for our sense of safety as well as for regulation of our mood. Chronic stress is interpreted by our brain as a threat to our safety just as dangerous as any physical threat. We are not aware that what our brain feels is siege. We just feel the reaction: insomnia, racing thoughts or the sensation that our thoughts won’t shut off, anxiety, increased heart rate or palpitations, concentration problems, inability to focus, even panic attacks. Enter alcohol, stage left. Alcohol and drugs become very appealing as antidotes to the stress. Initially, they are very good at calming the mind and the body. Most people can relate to the feeling of the first sip of wine or beer after a super hectic day. There is nothing quite like this liquid solution that quells the worries. Alcohol and other drugs can be very effective and efficient at reducing the symptoms of stress and shutting off the alarm, the limbic system, in the brain. Alcohol and drugs work — in the beginning. Eventually, though, they stop working and gradually begin to make everything worse. The anxiety that alcohol used to take away, it now causes. Over time, alcohol exacerbates anxiety, as well as all of the other symptoms it used to hide, remove, and take away. It’s a bad joke, isn’t it? Not to the 21 million people who suffer from substance-use disorders, and their loved ones, coworkers, and friends. As an addiction expert, I’m thankful to celebrities who share their stories of triumph over substances. We all learn and hopefully change. Celebrities show us that we are all equally imperfect humans who can overcome this challenge. We also have to learn how to take care of ourselves and teach our nervous systems how to relax without chemical aids. Even just 5 minutes — a simple five minutes! — of meditation, reflection, or quiet time can start to shift the way we process stress and anxiety. We can all spare five minutes from our routines, however busy they are. Just step away from the keyboard and step into yourself. 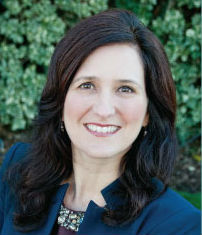 Dr. Krista Roybal is executive medical director and founder of True Life Center for Wellbeing in La Jolla. The center treats mental wellbeing and substance-use issues through an integrative, holistic and evidence-based approach.